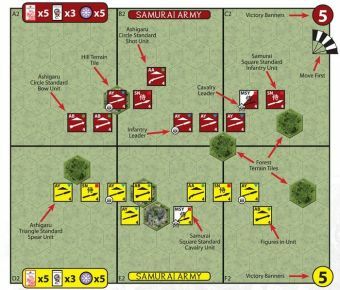 By 1572 Takeda Shingen was at the height of his power and although Tokugawa Ieyasu was not his greatest threat, Ieyasu after moving his army base to Hamamatsu castle, was the most immediate challenge. 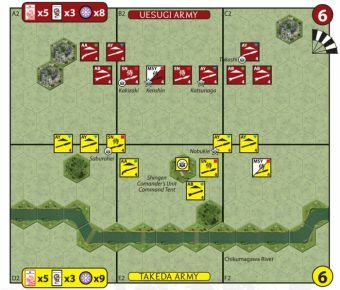 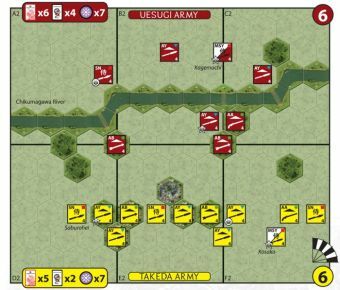 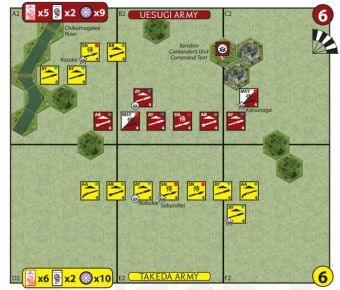 Shingen marched to the high ground at Mikata-ga-Hara and deployed his army in the classic f ish-scale formation, which supposedly would entice Ieyasu to attack. 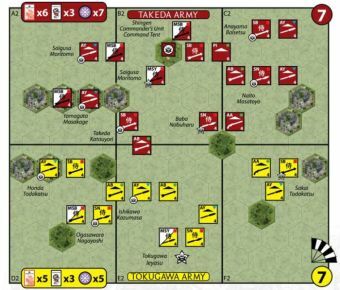 Outnumbered, Ieyasu gambled that a quick strike might catch the Takeda army by surprise, but the Takeda soldiers held f irm and counterattacked with such vigor that Ieyasu escaped was made good only by the sacrice of a number of brave generals. 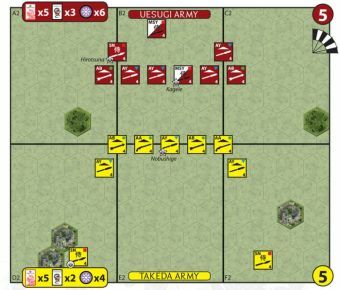 • 1 Victory Banner for each unit or leader eliminated. 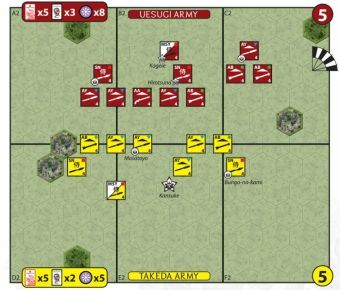 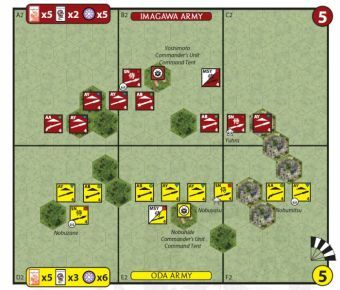 • A Command tent is worth 3 Victory Banners. 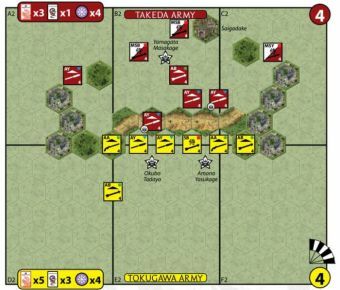 • Each player deploys 1 Ninja figure.